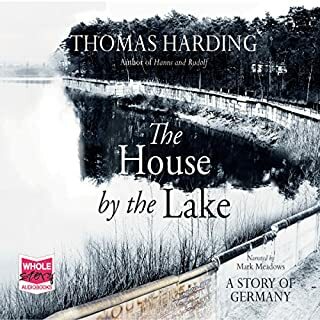 In the summer of 1993, Thomas Harding travelled to Germany with his grandmother to visit a house by a lake. It had been a holiday home for her family, that she had been forced to leave as the Nazis swept to power. 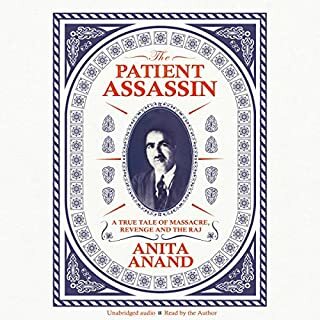 As he began to piece together the lives of the five families who had lived, he realised that this house had witnessed violence, betrayals and murders, had withstood the trauma of a world war and the dividing of a nation. When human rights lawyer Philippe Sands received an invitation to deliver a lecture in the Western Ukrainian city of Lviv, he began to uncover a series of extraordinary historical coincidences. 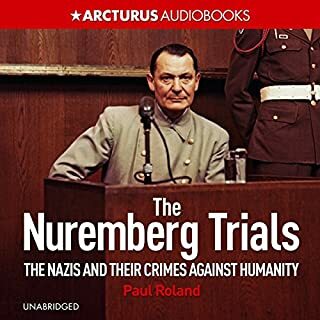 It set him on a quest that would take him halfway around the world in an exploration of the origins of international law and the pursuit of his own secret family history, beginning and ending with the last day of the Nuremberg Trials. Hanns Alexander was the son of a wealthy German family who fled Berlin for London in the 1930s. Rudolf Höss was a farmer and soldier who became Kommandant of Auschwitz and oversaw the deaths of over a million people. 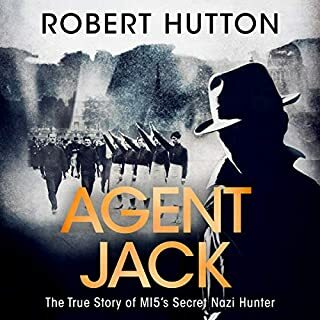 In the aftermath of World War II, the first British War Crimes Investigation Team is assembled to hunt down the senior Nazi officials responsible for the greatest atrocities the world has ever seen. Lieutenant Hanns Alexander is one of the lead investigators, Rudolf Höss his most elusive target. In this book, Thomas Harding reveals for the very first time the full, exhilarating account of Höss' capture. 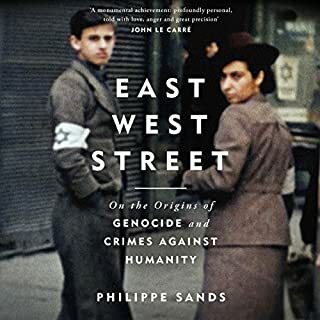 Moving from the First World War to bohemian Berlin in the 1920s, to the horror of the concentration camps and the trials in Belsen and Nuremberg, it tells the story of two German men whose lives diverged, and intersected, in an astonishing way. 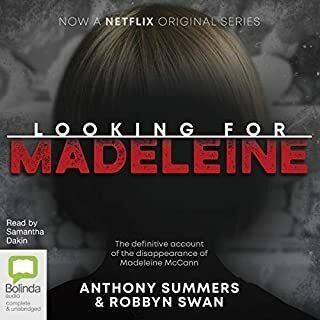 ©2013 Thomas Harding (P) 2014 Audible, Inc.
Definitely one of the best things I've listened to this year, its part historical, part thriller, part biography...... Its the entwining of the lives of two extraordinary people (extraordinary for very different reasons) that make this book so mesmerising. It really gives a sense of scale to the evil that is within living memory. I enjoyed this book,Very interesting and a good book. What an amazing man Hanns was. An amazing true story and very thought - provoking. 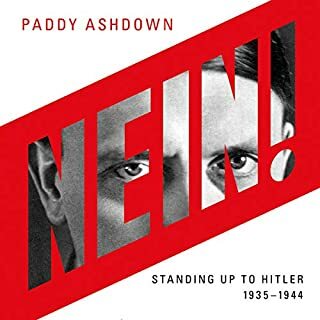 Well worth a listen along with the author's other work. I really enjoyed listening and reading this at the same time, each chapter swaps to each character. I had to remind myself that this was not fiction due to the pace once it gets going to the very end and how both characters came into each other’s lives. I’m glad Mr Harding found out about this and decided to research it further as there has to be loads of stories like this about the subject of WW2 and the Holocaust which haven’t been told or found yet. 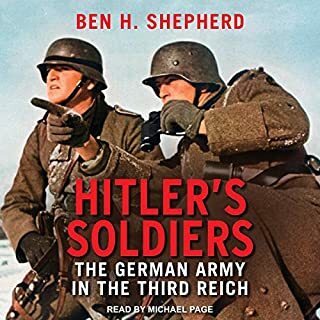 Highly recommend this audiobook if you are interested in the WW2 / Holocaust era. An amazing story, incredibly told by both the author and the narrator. I've listened more than once. Would you listen to Hanns and Rudolf: The German Jew and the Hunt for the Kommandant of Auschwitz again? Why? I would listen again to pick up facts I may have missed on first hearing. 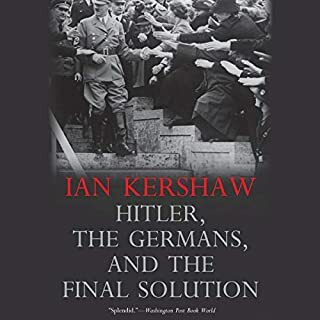 What other book might you compare Hanns and Rudolf: The German Jew and the Hunt for the Kommandant of Auschwitz to, and why? I would compare it to Ben McIntyre's books about espionage in the Second World War. Equally compelling and informative. What about Mark Meadows’s performance did you like? He read with conviction and empathy. And he kept the narrative going, never calling attention to himself, allowing the author's voice to come through. 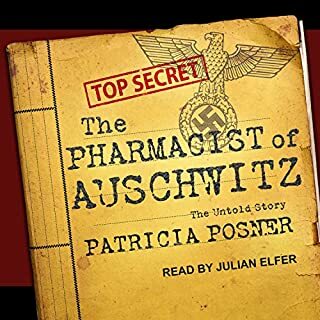 This is an exemplary audiobook. 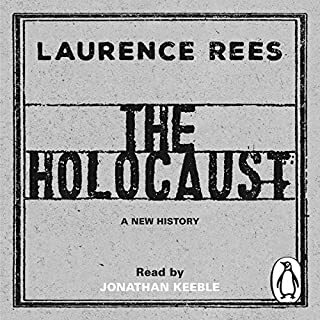 Where does Hanns and Rudolf: The German Jew and the Hunt for the Kommandant of Auschwitz rank among all the audiobooks you’ve listened to so far? If you could sum up Hanns and Rudolf: The German Jew and the Hunt for the Kommandant of Auschwitz in three words, what would they be? 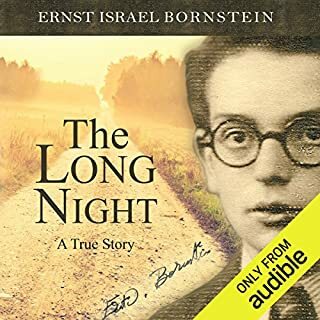 Tells the story of two families, one jewish and the other a concentration camp commanders and about there lives before, during and after WWII. 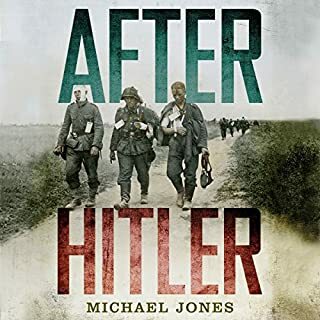 Fascinating insight into two very different Germans paths crossed at the end of the war. 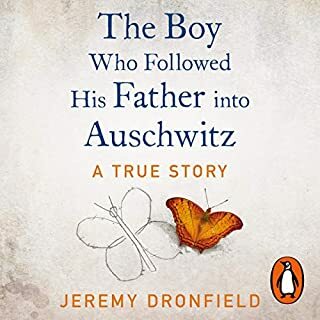 interesting and factual which brought to life the struggle of jewish families to escape nazi Germany and how those left behind had to live in constant fear of being sent to concentration camps. What three words best describe Mark Meadows’s voice? Reading was good compared with some non fiction books which can be heard to follow because of the use of facts and no personal feelings, but Mark Meadows with the help of a well written book made it easy to get inside the characters. The story of the Torah is moving and made me find out some more information about is history. Many aspects of Nazi Germany are fairly familiar however this was a very new angle and it was so interesting. 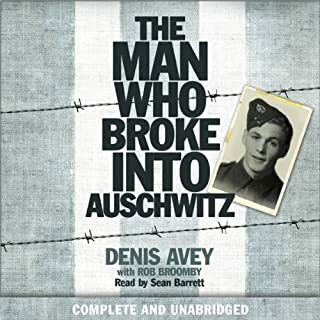 I happened to listen to this book around remembrance day, it was a very timely reminder of the appalling horror that was inflicted on very ordinary families and how it changed their lives for ever in the most brutal way possible. The narration is quite deadpan - almost journalistic style. This grated on me at first but as I got caught up in the compelling story it faded and I'm very glad I persevered. A story we should all know. 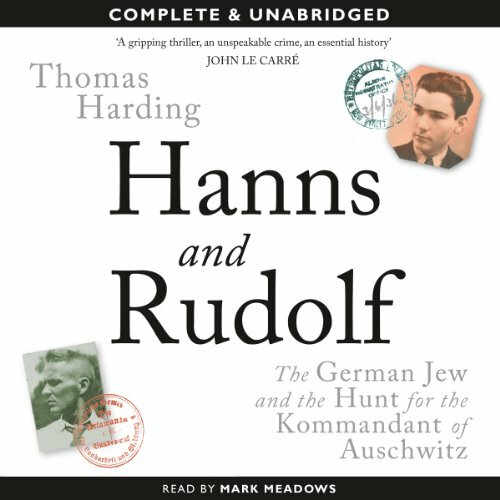 Would you consider the audio edition of Hanns and Rudolf: The German Jew and the Hunt for the Kommandant of Auschwitz to be better than the print version? It was interesting throughout. What you read in the blurb does happen but although it happens towards the end of the book, it remains thoroughly interesting throughout. I pause before using the word "enjoy" to describe a book of this context but i did. It had humour bits (early pranks) and does a wonderful job of showing how two different people ended up where they did without being judgmental. 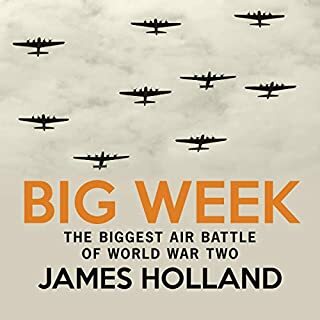 It makes you think about the wars and soldiers today, although i am making this book sound dull, it is not. This must be made into a film or at least inspire the writing of one. Possibly about rudolf's wife. We see them struggling, with rags on their feet, people hating them when they walk around (in a "we need to talk about kevin" esq way) the plot is slowly revealed through flash backs and makes us reconsider our sympathy. If my film idea happens. Id like a credit: jonathan r brock. Parallel narratives between the rise and fall of Rudolf Hoess, infamous commandant of Auschwitz and the fall and rise of the Jewish refugee who led the hunt converge in the Nazi's ultimate capture. Hoess' tale has been told before but the story of his pursuer, a distant relative of the author, adds a fatalistic element. 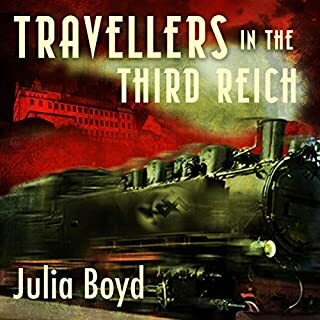 Will appeal to those with an interest in the how the Nazi war criminals we're brought to justice as well as those who like a decent true life detective story. The fate of Hoess won't come as a surprise but the pursuit and how he was captured might. 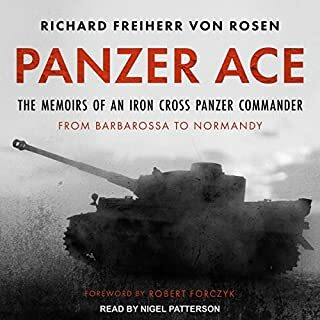 The fact that Hans was a relative of the author and how this impacted him brings a nice personal element to the telling. What does Mark Meadows bring to the story that you wouldn’t experience if you just read the book? Hans' backstory and the subtle reminder that the generation who lived to tell this tale will soon no longer be with us. Was Hanns and Rudolf: The German Jew and the Hunt for the Kommandant of Auschwitz worth the listening time? I enjoyed it. There are some interesting and suspenseful elements in Hoess' evasion and pursuit. My one complaint is that as heroic as Hans was and as vile as Hoess was, it was Hoess' narrative line that was more compelling and interesting sad to say.